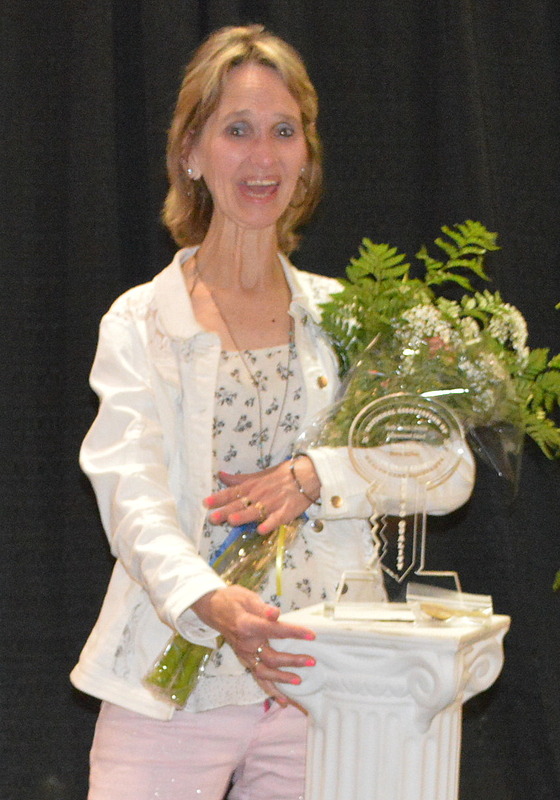 Nora Miller, Certified Nursing Assistant (CNA) at Belle Plaine Specialty Care received the National Association of Health Care Assistants’ (NAHCA) Stella Parrish Lifetime Achievement Award on June 2 at NAHCA’s national annual conference held in Des Moines. NAHCA is a one-of-a-kind organization that supports professional caregivers who are considered to be the backbone of health care and its heart and soul. With 40,000 members throughout the US, NAHCA supports the professionals who provide 90 percent of the care for residents in skilled nursing. Nora has been a caregiver at Belle Plaine Specialty Care for 36 years. She has been through ownership changes, administrative changes and regulatory changes. “She is always doing what is best for the residents and her co-workers,” said Administrator Jalissa Simmons. “She is a team player and will volunteer to cover other shifts. She also will come in early looking professional and rarely, if ever, has called in sick. She’s a dedicated and compassionate CNA, and we are very grateful to have her,” said Simmons. The Stella Parrish Lifetime Achievement Award is named for, and in honor of, Stella Parrish who gave 30 years of her life as a caregiver and never missed a single day of work. This is NAHCA’s most prestigious award. Care Initiatives supports and encourages CNA participation in NAHCA educational opportunities, including attending their national conference. CNA’s attending this conference are provided an opportunity to learn from industry leaders and each other, and the conference empowers and encourages aides and assistants to make a difference among their peers back home. Belle Plaine Specialty Care is a 66-bed skilled nursing facility offering rehabilitation services, skilled nursing care, long term care and hospice care. It is owned and operated by Care Initiatives, Iowa’s largest not-for-profit senior care provider. With headquarters in West Des Moines, Care Initiatives and Care Initiatives Hospice operate 55 skilled nursing, rehabilitation, Alzheimer’s/dementia, assisted living and hospice locations throughout Iowa. We are committed to providing compassionate care for Iowans through all of life’s health transitions. For more information about Care Initiatives, visit careinitiatives.org or call 2319.444.2500.